We know how painful it is when Handbrake stops encoding videos and DVDs. You get a 16GB game capture video in MP4 and wanna make this video smaller with Handbrake, but what makes you disappointed is that Handbrake won't start encoding this MP4 file. Still, you utilize Handbrake to convert MKV with soft subtitles to MP4. However, the MP4 video with subtitles becomes shorter in video duration, from 25 mins to 17 mins on accounts of Handbrake incomplete encoding. In other cases, you import a commercial DVD disc to Handbrake for ripping DVD to H264/MKV, but sorry to find that your output video file is 2 seconds of nothing. 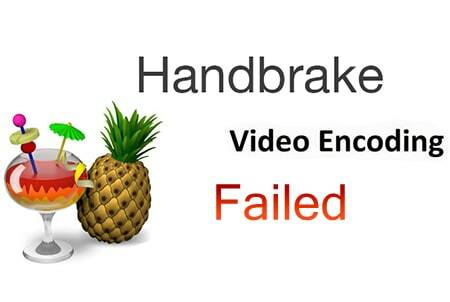 There are even more Handbrake encoding problems, like Handbrake 1.0.7 crashing at starting when encoding, Handbrake 1.0.7 hangs during DVD scanning process, Handbrake stuck at 100%, Handbrake only encodes half movie, Handbrake error 4 or error 3, etc. Faced with such annoying problems, you need to calm down and figure out the potential reasons and solutions. If you have tried your best but still been trapped by these Handbrake errors, you're suggested to spend a few mins to look the below post, which sheds light on the potential reasons and provides the effective solutions for your reference. We will be very glad if these solutions work for you. MacX DVD Ripper Pro - unlike Handbrake needing VLC and libdvdcss, this self-contained DVD ripper can remove all the DVD copyright protections and rip DVDs to MP4 MKV AVI MOV MPEG-2 ISO image, iPhone iPad Android at GPU HW accelerated speed, no crash. 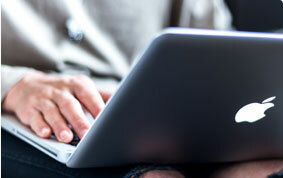 As a Handbrake fan, I know it doesn't go wrong frequently, especially converting video. If Handbrake stops encoding at 10%, 18.26%, 20% or 50% for video conversion, you need to cool down and exert your efforts to fix Handbrake encode failed/Handbrake 1.0.7 crashed problem. I know, you may be a new hand, having no enough professional knowledge about Handbrake or video converter software, but at least Handbrake deserves your some time and energy to normalize it. Do you agree? If yes, then you can follow the below tips to try. If no, you can directly give up Handbrake and resort to a solid Handbrake alternative to finish your video encoding tasks. Ok, nonsense aside, let's back on track. ● Uninstall and reinstall Handbrake. ● Try a Nightly Builds of Handbrake. Nightly Builds are based on the latest development code and builds of the software that is not really released to the public. 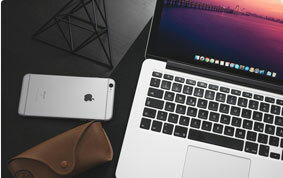 They are better suited for more experienced users and developers with 64-bit operating system and Mac OS X 10.7 or higher. ● Turn off OpenCL resizer. It might be related with OpenCL resizer. Therefore, close OpenCL resizer under video settings. Or instead, try the above nightly build (OpenCL resizer has been excluded from nightly build). ● Properly Use Multi-core CPU. If your computer is armed with Intel Core i9, i7 or i5, you're advised to assign 6, 4 or 2 CPU cores to accomplish the video conversion task with Handbrake instead of all the CPU cores. ● Set the Large Files Switch. To convert large video file (bigger than 4GB), you're supposed to check the Activity Log on Handbrake interface and set the Large Files Switch. ● Check the Motherboard Driver Updates (BIOS updates included). 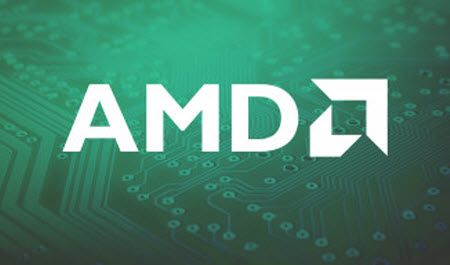 ● Uninstall AMD APP on Your Windows or Linux. The latest Handbrake 1.0.7 supports OpenCL, which will conflict with another OpenCL built in the AMD APP if you have installed on your Windows. So uninstall AMD APP from your computer to have a test. ● Improve Your Hardware Equipment. The lower-end computers are more likely to cause software like Handbrake encoding failed (error 4/3). Thus, give yourself a new improved computer if you afford. • Works seamlessly with Mac OS X and Windows and its conversion stability is not affected by hardware configuration, no half-crash or encoding failed cases. • Decode and encode videos of whatever format and resolution to MP4, MOV, MKV, M4V, AVI, FLV, VOB, 3GP, MPEG, etc. 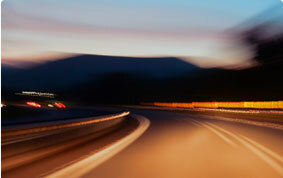 370+ modern digital formats, far more than Handbrake output formats. • Allows you to encode video with multiple subtitle tracks, free remove subtitles from video or add external subtitles (download online fan made subtitles) to video. No subtitles missing case happens. • Compress large video file (16GB, 20GB or larger) to much smaller video with video conversion, video trimming/cutting and parameter settings adjustment (Bit rate, frame rate, resolution, etc.) three ways. On top of Handbrake not finishing encode in video conversion, Handbrake also stops encoding and is stuck when it comes to free rip DVDs. 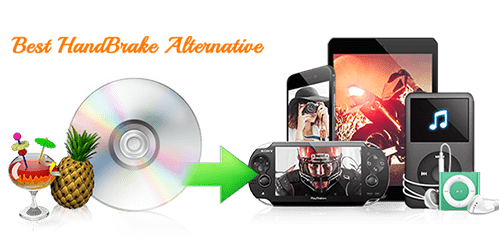 Many a user leaves message on forum to look for the effective ways to solve Handbrake won't start encoding DVD movies or only encodes half movie off DVD out of sync. 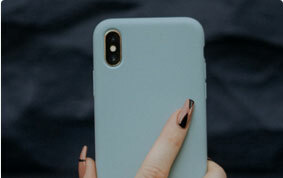 The following part lists out several useful solutions (some from users personal experiences; others from handbrake experts), with a wish to render your assistance. 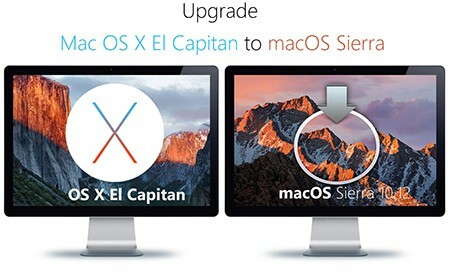 ● Upgrade or downgrade your Mac operating system. This advice is especially for Mac OS X El Capitan or later. If you fail to install libdvdcss on Mac, you can try the Handbrake libdvdcss for Mac guide or directly upgrade Mac to macOS Sierra or downgrade to Yosemite. ● Check if your CPU is overheating. When you take advantage of Handbrake to rip DVDs, this conduct would put too much stress on CPU. If the CPU is overheating, your Handbrake stops encoding DVD movies might occur. So use CPU cooling fan to cool down CPU heat. ● Make sure there is no other tasks running. To relieve the CPU stress and avoid PC high temperature, you're encouraged to shut down other tasks while ripping DVD with Handbrake. ● Make clear your DVD is copyright protected or not. Everyone knows that Handbrake can't rip copyright protected DVDs and even the latest Handbrake 1.0.0 unless you installed the 3rd party software to help it. Even though, it still has no power to rip latest encrypted commercial DVDs. So if you use Handbrake to rip encrypted DVDs, it's no wonder that you receive the error message "DVD has bad section", meet Handbrake won't start encoding or DVD encoding only 50% with disorder. In case your latest collected DVDs are copyright protected, you'd better to resort to handbrake alternative - MacX DVD Ripper Pro to rip protected DVDs, for it's constantly updated to catch up the latest DVD copyright protection tech, irrespective of CSS, Region Code 1-6, RCE, UOPs, or Sony ARccOS, Disney X-project protection (99 titles). Feed it any DRM protected DVD, and it will encode DVD movies to MP4 MKV AVI MOV ISO image, MPEG-2, etc. at GPU (Intel/Nvidia/AMD) accelerated speed with original quality, no freeze/crash issue. ● There is enough hard drive space or not. 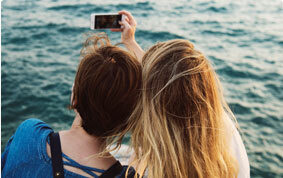 We know the DVD movie is usually large in size, up to 4GB or larger. If your selected drive for output files has no enough space, this might also lead to Handbrake encoding fail. ● Disable LibDVDNav. on Handbrake. For certain encrypted DVD ripping, you can have a try on this solution: access to "Tools" → "Options" → "Advanced" → tick "Disable LibDVDNav. (libdvdread will be used instead)". After DVD ripping is done, switch it back. ● Check if DVD disc is damaged or IFO files are damaged. Your DVD disc with a slight and unobvious damage might also cause Handbrake stuck or encoding fail. 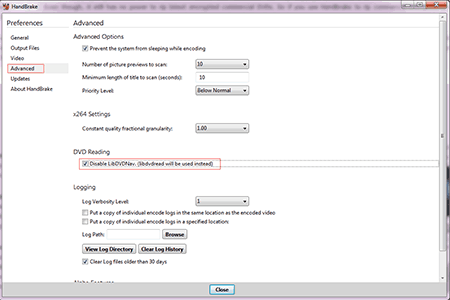 If your DVD disc is not in severe condition, then the DVD ripper can copy damaged DVD. But providing the damaged part is the IFO file, sorry to inform you that DVD ripper can't render your help. Just change another disc. ● Rip DVD with Handbrake Alternative. Today is not your lucky day and you can't make your Handbrake back to normal with the aforementioned solutions. Then, you should try its DVD decrypter alternative to rip and copy any DVD (encrypted or not) to MP4, MKV, MOV, AVI, MPEG-2, ISO image, iPhone iPad, Android, etc. with aplomb, no Handbrake stops encoding trouble, handbrake 99 titles DVD ripping or Handbrake no valid source found problems. The Handbrake alternative DVD ripper software developer encourages users to rip and copy DVDs for fair use. Do Not allow users to copy DVDs for any illegal usage like piracy, reproduction, illegal commercial purpose, etc. Please abide by your country or local laws before ripping DVDs. Wanna know more Handbrake DVD ripping errors, please feel free to click Handbrake not ripping full DVD movie, DVD reading error, etc. [Handbrake Error] Get Handbrake No Valid Source Found Error Well Tackled! Handbrake Doesn't Convert Whole Movie? Problem Gets Fixed Here! Video Audio out of Sync After Using Handbrake? Solved Now!